Manish A. Fozdar, M.D. graduated from medical school at age 23. Since his first year of medical school, he has been a diligent student of neuroanatomy, neurophysiology and brain-behavior relationship. He completed his residency training in psychiatry at Harvard Medical School affiliated hospitals. He completed two additional years of fellowship training at world renowned Harvard affiliated hospitals, Brigham & Women's Hospital and Beth Israel-Deaconess Medical Center in Boston. Dr. Fozdar’s first fellowship was in psychosomatic medicine, a discipline that focuses on the interface between psychiatric and medical disorders. His second fellowship was in neuropsychiatry/behavioral neurology, a discipline that studies a broad spectrum of brain disorders and associated behavioral, psychiatric and cognitive disorders. Since completing his training in 1996, Dr. Fozdar has examined thousands of patients with various psychiatric and neuropsychiatric conditions. Dr. Fozdar has enjoyed an active and productive career as a clinician, teacher, lecturer and writer in numerous academic and other settings. He has lectured extensively locally, nationally and internationally. Dr. Fozdar regularly presents scientific talks and articles at national conferences. He has published many articles in scientific and peer-reviewed journals. Dr. Fozdar has been affiliated with many professional organizations and served on various committees at national and regional levels. He is a member of the American Neuropsychiatric Association and reviewer for its journal, Journal of Neuropsychiatry and Clinical Neurosciences. He has served on the board of directors of the Brain Injury Association of North Carolina. He has served as a chairman of the Forensic Neuropsychiatry Committee of American Academy of Psychiatry and The Law (AAPL). He is a member of the Psychiatry and Law Committee of the North Carolina Psychiatric Association. 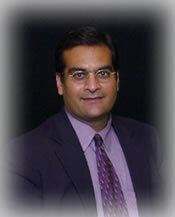 Dr. Fozdar is currently affiliated with Duke University Medical School. He also serves as the Medical Director of Geriatric Behavioral Health Unit at Novant Health Franklin Medical Center. Dr. Fozdar is dually board certified by the American Board of Psychiatry and Neurology in General Psychiatry as well as Forensic Psychiatry. He is board certified by United Council of Neurological Subspecialties in the fields of Neuropsychiatry and Behavioral Neurology. A complete CV will be provided upon request.